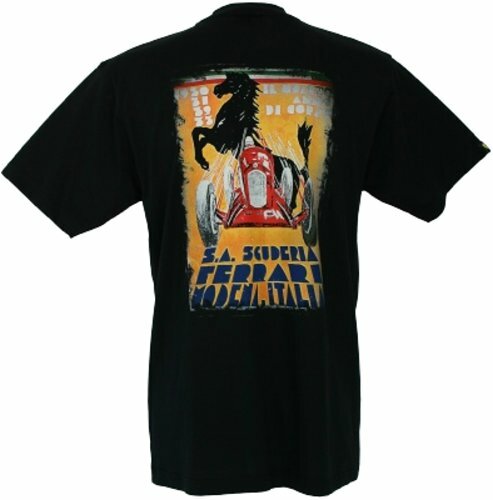 Ferrari T-Shirt with Ferrari Vintage Poster print - Black. Classic T-shirt in 180gsm 100% combed cotton. Scudetto racing shield printed to left chest. Vintage Poster design printed to back. 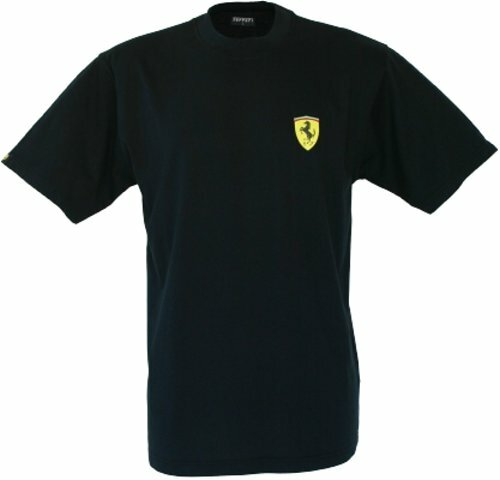 Woven Ferrari racing shield label stitched to right sleeve.